Skin histopathology is an interface which deals with the disorders,diseases,causes and effects of skin,nails and hair. Biopsies are used to study the pathological reasons at atomic level with the use of different techniques such as microscopy, immunoflorescence etc. Globally, skin diseases are the fourth dominant cause for the non-fatal disease burden. Definitive diagnosis of tumors (both neoplastic and non-neoplastic) related to different types of soft tissues such as adipose tissue, tendons, muscle fibers, connective tissues etc fall under soft tissue pathology. Tumors such as lipomatous tumors,myxoid soft tissue tumors, mesenchymal tumors etc can be characterized with the help of molecular diagnosis and immunohistochemistry. The number of people suffering with soft tissue sarcoma is approximately 12,400 in United states. Therapists, neurologists and physiologists are required to specialize in treating injuries and other disorders,to set the patients free from unfathomable pain caused by pathological disorders of soft tissue. Cytopathology majorly deals with diagnosing a disease at cellular level with different samples obtained with the help of various testing techniques such as Fine Needle Aspiration(FNA), for a cytopathological analysis. Cell samples can be obtained from any body cavity (such as oral/buccal cavity,abdominal cavity,thoracic cavity etc), body fluids (such as sputum,saliva,blood,CSF etc) or any other disease causing tissues. Abnormal cell or tissue growth is referred as neoplasm which results in the formation of tumors or lumps which can further result in cancer. These tumors may be either benign or malignant. Around 14.1 million new cancer cases are recorded globally in the year 2012 and the number is expected to rise by 70% in the next 20 years across the globe and about 8.2 million deaths of cancer patients were recorded in the same year. 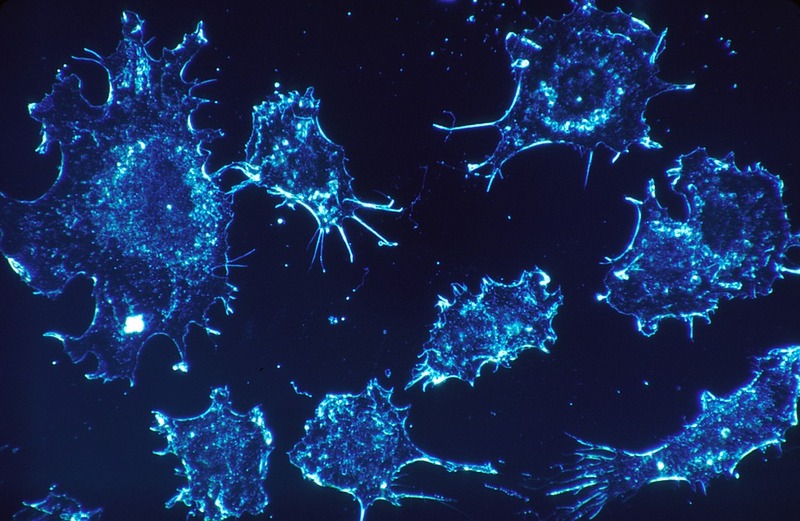 Monitoring cancer and strengthening the health systems are major challenges across the world. Oral and Maxillofacial Pathology is the specialization which is concerned with the diseases related to mouth, salivary glands, facial joints, muscles and orofacial skin etc which may be either acquired or congenital(hereditary). Although there are great achievements in treating oral disorders, it is recorded that about 3.9 billion people suffer from oral diseases which is nearly 35% of the total global population for all age groups combined. Based on these statistics, oral health needs have to be considered as a obstacle to overcome globally. Gastrointestinal surgical pathology deals with all the diagnostic aspects,ancillary techniques and molecular level investigation related to biopsy samples and specimens obtained by re-sectioning of different organs related to gastrointestinal tract including liver,pancreas and biliary tract. Ophthalmic pathology specifically deals with the ocular diseases (diseases related to eyeball and eye orbit). Tissue or fluid samples are collected to obtain the diagnostic opinion which can be examined at histologic and cellular level. Dynamic range of research in diagnostic techniques is ongoing to examine a condition at molecular level. Pulmonary pathology majorly tackles with the characterization as well as diagnosis of tumors in the lung and pleura (outer lining of the lung). More than 3 million people die each year due to COPD which accounts for nearly 6%of the population across the globe. Four respiratory diseases which include pneumonia, tuberculosis, COPD and lung cancer account for nearly 1/6th of the deaths world wide. Cardiac diseases the main reason for demise across the world. It is estimated that 17.7 million people suffered from cardiovascular diseasesworld wide in 2015 which represents 31% of the deaths across the globe.Most of the heart diseases can be hindered by creating awareness about the risk factors involved in smoking,diet issues,use of alcohol and importance of exercise. Appropriate guidance has to be provided to people who suffer from diabetes and hypertension which is necessary to avoid the risk of suffering from cardiac diseases. Advanced cardiac imaging provides recent information on cause of death due to cardiac diseases which also explores new dimensions to diagnose such kind of diseases though technological development in imaging and its applications. Endocrine surgical pathology deals with all diagnostic aspects related to different glands such as thyroid gland, pancreas, pituatory gland, parathyroid glands, adrenal glands, hypothalamus, pineal gland, ovaries and testes. There are about 54 endocrine disorders identified which affect the clinical as well as public health. Genitourinary surgical pathology features diagnosis and investigation of biopsy samples and specimens obtained from bladder,prostate,kidney and testis. Wide spectrum of pathological research plays a cutting edge role in improving patient care. Pediatric pathology refers to the subject that deals with the diagnosis of neoplastic and non-neoplastic diseases in fetus, infant and adolescent and inquires reason for the conception of disease. 83% of deaths in children who are under the age of five years are due to infectious, neonatal and nutritional reasons. Fetal and Congenital anomalies are often related to the medical disorders which are inherited before birth for which prenatal diagnosisplays a key role in identifying the anomaly. About 2.68 million neonatal deaths are recorded globally in the year 2015 due to various reasons such as congenital disorders, preterm birth, birth trauma, neonatal sepsis and various other causes. Transplantation pathology refers to all pathological features of the organs which are grafted or transplanted to discover the complications whereas biopsy refers to the study of a tissue when it is removed from a living organ or a body to diagnose the cause of a disease. Surgical and Autopsy Pathology is responsible to examine a tissue or an organ which is dissected from a human body after death to find the cause of death. Laboratory analysis and microscopic examination of samples is done to determine the diagnostic value which can be either for a legal or general purpose. Immunohistochemistry is a technique which is used to produce different images of specimens by combining anatomical and biochemical techniques with the use of antigens and antibody binding. It is majorly used to diagnose cancers and cancer specific or tumor specific antigens. It is used to know the reason for antigen and antibody binding in any biological tissues.